as a makeup artist certified form cinema makeup school in los angles California I provide many and all services which are.. beauty makeup, runway and editorial makeup, bridal makeup, event makeup, special effects makeup, character makeup, Halloween makeup, face painting, theater makeup, prosthetics application and offers makeup classes for all ages. no project is to big for me, I use all my skills and knowledge of makeup in every makeup application I encounter. Cassie is such an amazing make-up artist!! I highly recommend her. She did my sister's make-up for prom and she looked amazing. Then, I hired her to do my make-up for my bridal shower. She was here on time for both occasions. She explained and even gave me some tips. She's definitely the right person to do your make-up and hair. Trust me, you won't regret it!! I'm definetly going to hired her again!! Cassandra was so professional and flexible through the booking process and arrived at the location early the day of the wedding. She used her artistic makeup wizardry to create beautiful makeup looks for the matron of honor, a bridesmaid and the star of the day-the bride. 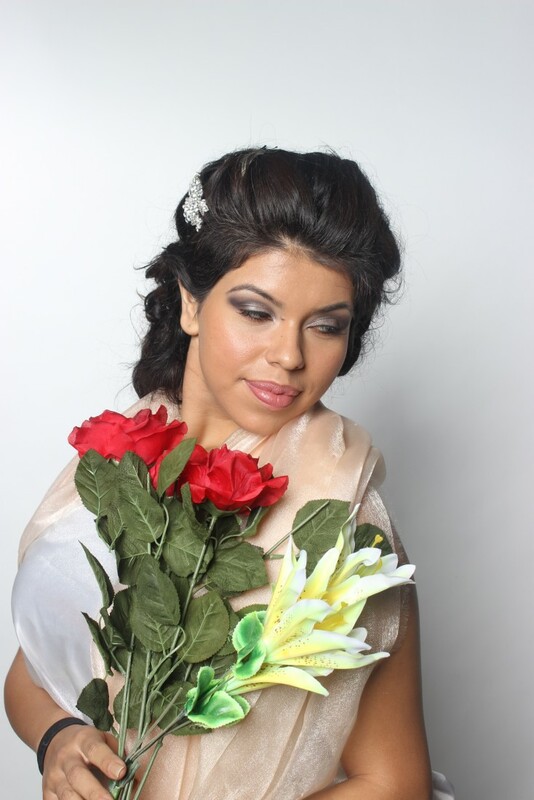 I was the matron of honor and felt absolutely beautiful when my look was completed. She really listened to the needs that we all had and made sure to utilize makeup that was skin friendly for all of us. The bride looked gorgeous with just the right amount of glamor with some lashes cut just to size that really made her look come alive-I cannot recommend Cassandra highly enough and will be using her again in the near future for another big event! Amazing! Simply amazing, thank you so much Heike for such a wonderful review! I so look forward to working with you again. This is an artistic genius, a consummate professional, and a delightful person. She has tremendous flair, rock-solid training, and the brains to keep perspective on the purpose of the event, the strategies of time and space, and the inner well-being of her clients. Cassandra was the most responsible, punctual, agreeable and supportive collaborator one could ever ask for. Her work was glorious, completely in-tune with the need of the music video we were shooting, and her attention to touch-ups during the course of the day, masterful. We will definitely be calling her again, for makeup design on future and bigger projects. And we emphatically recommend that you do, too!!! Dorothy I'm honestly speechless! And in tears of happiness! Thank you for your kinds and heartfelt words. I'm deeply touched, your such and amazing and talented person!! I look forward to working with you again also. Thank you! Cassandra has done amazing work for me on multiple occasions! I've gotten makeup done by her for events such as prom, sweet 16's, and Halloween. At each of those events I receieved numerous compliments and asked whose done such a beautiful job on me. She's so kind and truely passionate about her work. She has no problem explaining to you step by step what she's doing and she won't finish on you until your completely satisfied. I would recommend her for any occasion. She does beautiful work and you can see she truely loves what she does. She never disappoints! Cassandra is very passionate about what she does and her career in make- up ! She is very patient with doing make- up and she is a sweet person not rude at all. As she does make-up she explains what she is doing to your face if you would like to know. She did amazing halloween make-up on me for a party. I recommend her if you are looking for a make up artist. Cassandra did amazing work on me. i asked her to make me look really scary for halloween. everything she did to me looked and felt like it was real. and during the applying of the makeup, she keeps talking with you so you don't get bored,and makes you laugh so you have a good time. i had a blast during the whole experience. she was very professional. i can't wait to have her work on me again! when I think of makeup I think of creativity, letting your mind and hands create a pieces of art is very liberating. hello I'm Cassandra Feighan and I'm a makeup artist. let me start off by saying make up is my passion and soul purpose in life. I always knew that art was something I was meant to do. I am a very determined person and when I put my mind to something I do it. I decide I wanted to learn more about the art of makeup, so I went to cinema makeup school in California. I learned and worked hard in the master course program and graduated. I was given the key tools for success in the makeup industry. I always make sure I keep updated with the newest trends and skills of makeup. I promise you I will you give you the best service you can ask for. I treat all my clients equally and I always make sure you leave happy with your result. I always say a dream must start somewhere with me it all started with a brush and some makeup. - my job was to greet costumers coming in and provide information about salon services and retail products. assist in maintaining reception area and organize salon environment. suggest and sell salon services and products. assist salon leader with administrative tasks and salon results. - I was asked by the director Aaron Treppeda to do makeup for the play Alice in wonderland and twisted teens. I preformed makeup on the entire cast. I did special effects makeup and beauty makeup. - I was doing makeup for the remake of the Addams family play. I preformed makeup on the entire cast. it included both special effects makeup, body painting and beauty makeup.